Assume both are HUO and standard factory setup. Spider-Man definitely. Thre is more demand for the title therefore prices will be higher. Also, what are they worth? What would you pay? SM: 5-6K depending on condition/mods. PoTC: $3K, on a good day? Not very interested in that one I admit. It has its cool parts, and other parts that seem like they would get real old real fast at home. Note: these are what I would pay; I put my money where my mouth is for SM and bought one last summer. I bought POTC NIB and would go with ST. PoTC is great, but gets old quick and ST has great call outs, depth, and shots. Are you answering your own question? I thought this was SM vs. PoTC? SM by a mile. $4200-6000 on the Spiderman, $3600-$4500 on POTC. POTC is a fun pin, but it's no SM. If money is not an issue, SM all the way. SM is worth more. But I would rather play POTC. Don't be crazee. Go SM. I like both I own potc. Depends on collection size. Potc is not as bad as most say. They think just shoot the ship. Same with afm or mm u can just shoot the ship or the castle but there is more to it than that. SM is worth more if both in similar condition by about $700-900. Owned both. IMO SM is the better pin by a wide margin. Great layout that encourages flow, fun theme and toys with a great rule set. SM is one of the best. That said go with whichever you personally like better. I think a similar condition Spider Man is worth at least $500 more. It's also much more of a keeper. POTC is good. SM is great. Definitely Spidey! Had it, sold it after 3 years, already want it back. Not even close, SM has got to be worth at least $1000 more in the same HUO condition. Funny how people start giving their opinion on which is the better playing pin and telling the OP which one to get when he never asked about that. He was only asking for values and which is worth more. Pirates is slower and more methodical. 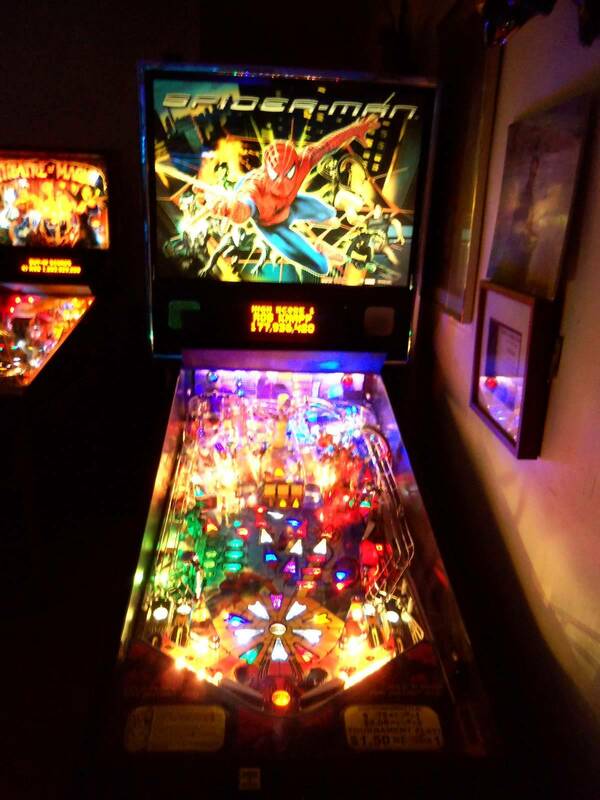 Spiderman is one of the best flow games you will find. Figure out which side of your tastes end up on and go with that. Personally I'd go with POTC because it's cheaper, but that's really only because I know local players with Spiderman machines that I can play and not have to worry about owning. I don't really know anyone around here that has a Pirates. U had one to many, no changes were made. Is both an option? I own SM and after recently playing POTC I thought it was a lot of fun and I'm keeping an eye out for one. LOL, if I had some extra coin I would pickup a POTC. Just bought SM. Also, I have not found a decent priced HUO POTC other than the one currently posted in Texas. Anyone have one for 3500? Ccfries might buy. Haha I didn't have any that's the worst part! Good luck with your new pickup! SM no comparison. Dont care for POTC at all. Probably the longest you all modern Sterns that you have to wait for a ball to be returned in play between all of its shots. Ok to play on location, boring in a home collection. Completely non responsive to the OP's question.